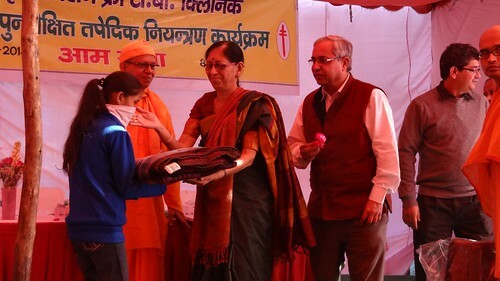 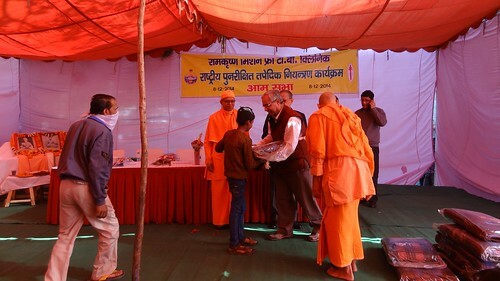 Public Function and Blanket Distribution for T.B. 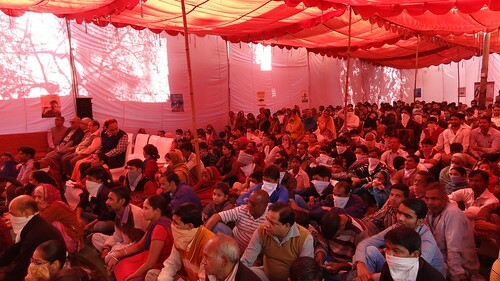 Patients. 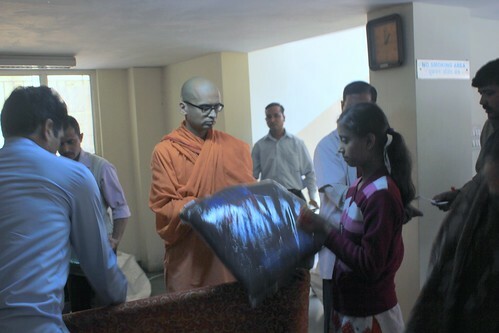 Every year we distribute blankets largely through our Free T.B. 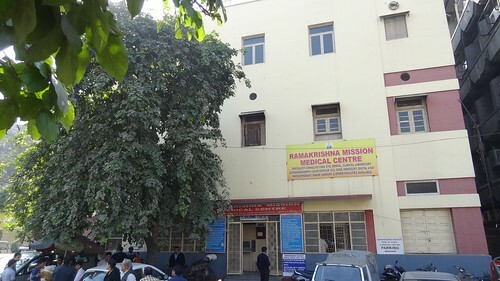 Clinic and Medical Centre, Karol Bagh. 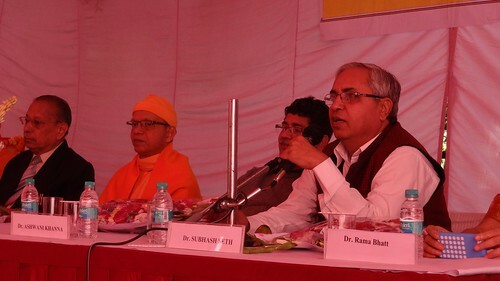 This year, the distribution was held on the 8th of December, 2014 from 11:00 a.m. Dr. Ashwani Khanna, State Programme Officer,RNTCP, New Delhi, Dr. Subhash Seth, CDMO and MD, IDHS, Central and Dr. S.M. 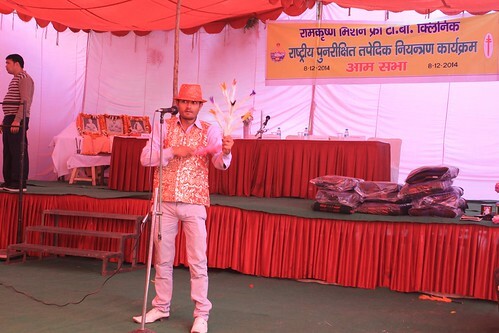 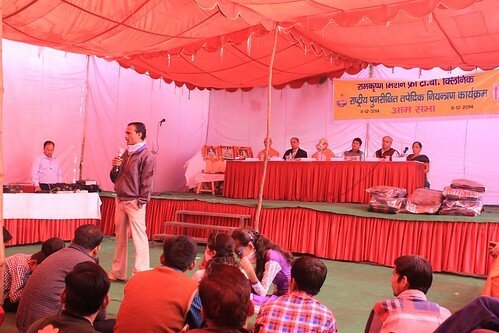 Govil, Honarary General Secretary, Delhi T.B. 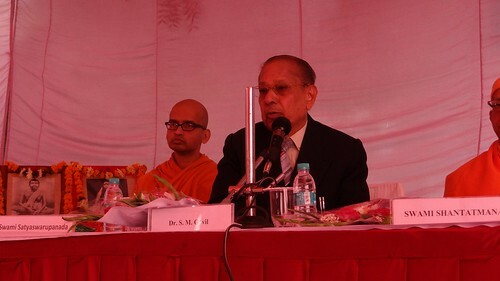 Association, were the Guests of Honour on this occasion. 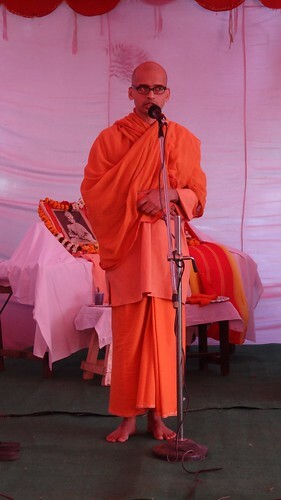 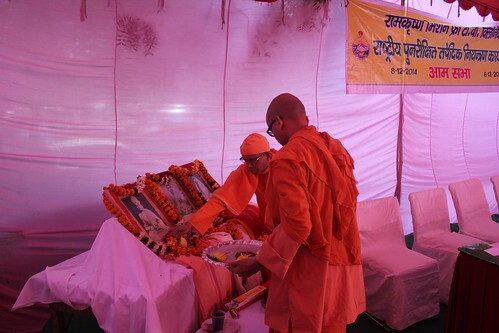 Swami Satyaswarupananda, In-Charge of the Ramakrishna Mission T.B.Clinic and Medical Centre welcomed the guests and briefly introduced the activities of the centre. 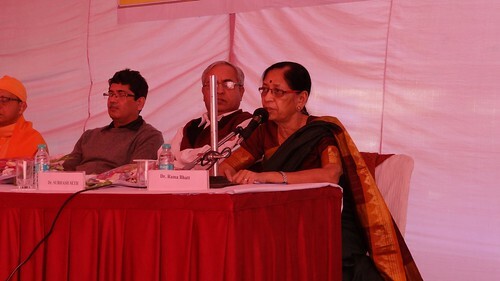 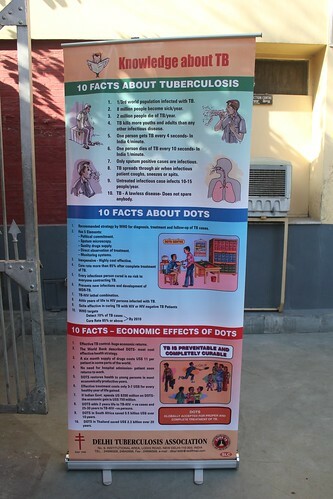 Dr. (Mrs.) Rama Bhatt gave a synopsis of the various facets of TB and their treatment at the Clinic. 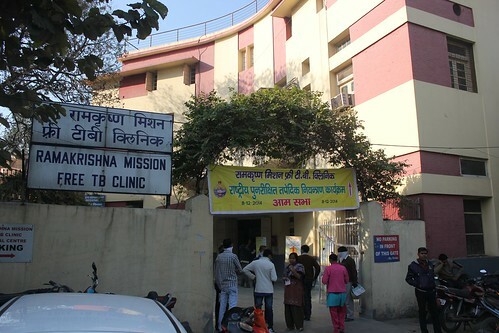 A few patients who are currently undergoing treatment for TB including a few who have successfully overcome the ailment spoke about their experiences on this occasions. 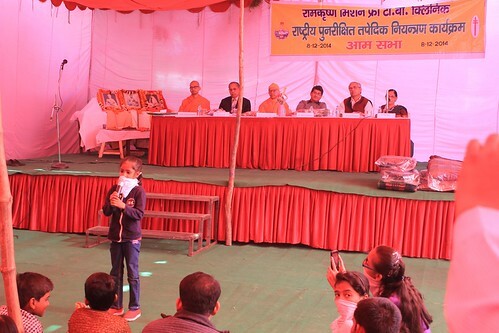 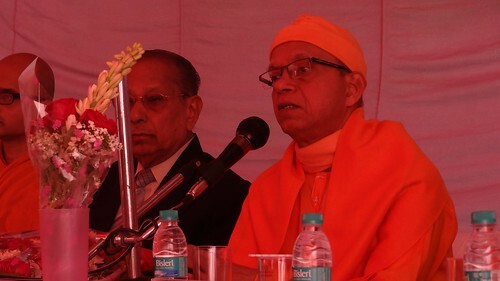 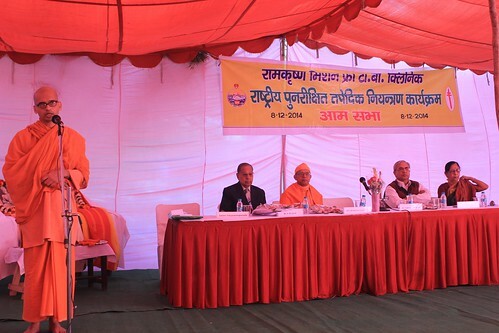 After brief talks by the Guests of Honor, Swami Shantatmanandaji, Secretary, Ramakrishna Mission, Delhi addressed the gathering. 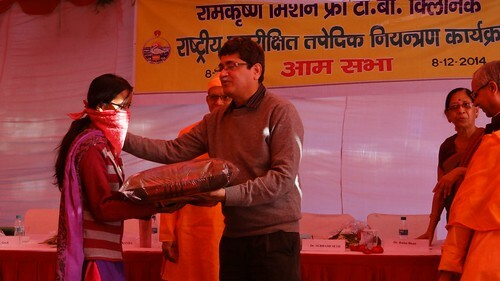 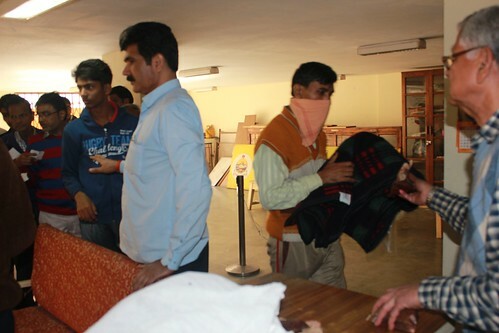 Blankets were distributed to the patients who have been currently undergoing treatment at the centres. 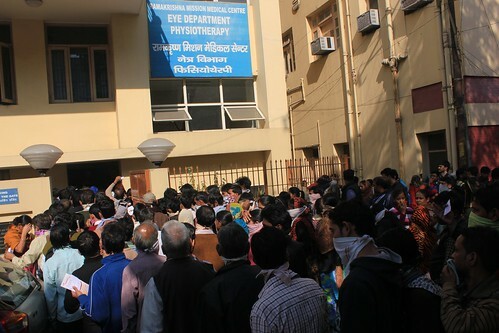 As many as 250 patients availed this opportunity.